Perfect designed instrument for measurements according to the HACCP-rules. The instrument is very robust and watertight (IP65). The included probe is changeable via the Din connection. 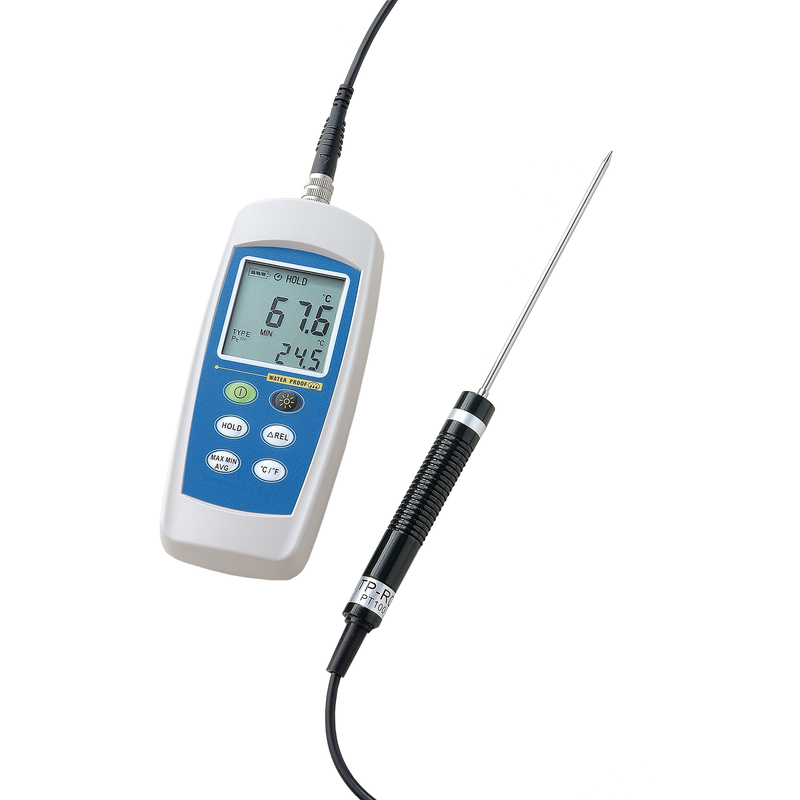 D370 Dostmann digital thermometer, range approx -100 to 300 °C in 0.1 °C (or °F) resolution, complete with probe and battery.